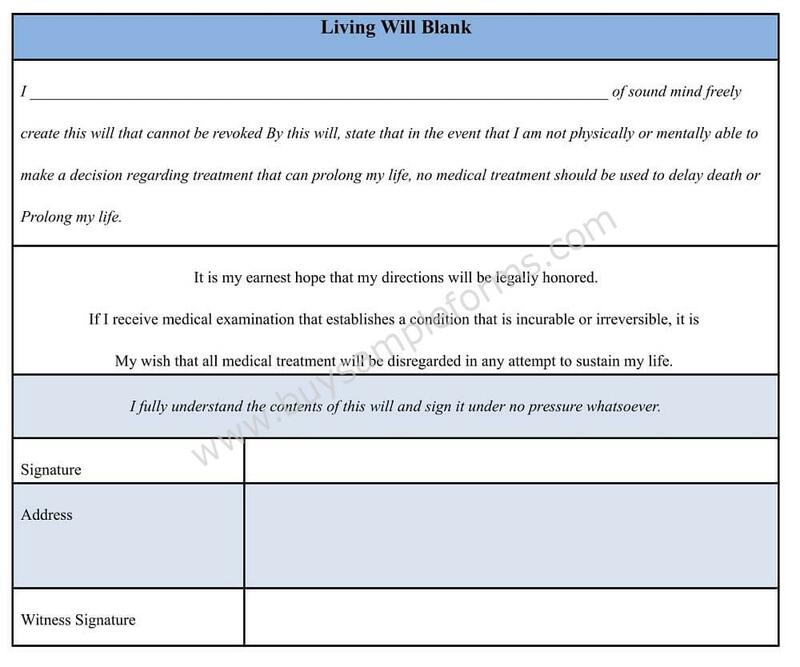 A Living Will Blank form is a legal document which states the wishes of the undersigned in relation with the medical treatment to be followed, in case he or she becomes terminally ill or mentally incompetent or in a state where he or she is unable to communicate his or her will in context of the medical treatment. 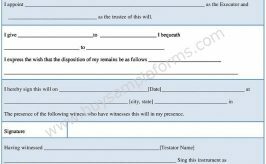 This is a legal way of stating the kind of treatment the person approves or disapproves when he or she falls sick. 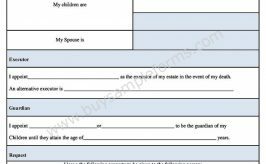 This document in a way also protects the hospital, doctor and the medical team from all sorts of liabilities for limiting or withdrawing the life support system of a patient who is terminally ill.
We have come up with an easy to download, quick to customize and print Living Will Blank form sample which is available in MS Word and Editable PDF format. 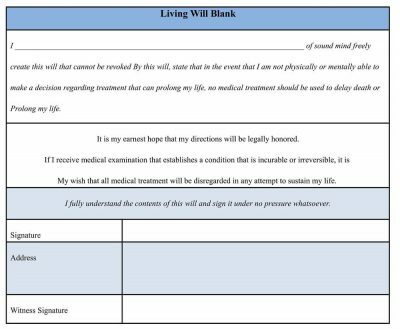 Use this format to create your own Living Will Blank form with perfection.